The theme for Social Media Breakfast #11 in Boston in December was "Social Media for Social Good." To kick off the event, Bob Collins and I organized a call to action for the group. Tyson Foods was willing to donate 100 pounds of protein to the Boston Food Bank per comment on its Hunger Relief blog. (Tyson Foods has perfected a social media strategy that leverages blog comments for food donations as noted on the Fast Company blog.) Within 90 minutes, we had 300 plus comments - enough for one truckload. We had the second truckload within 2.5 hours and had over 800 comments. Thanks to all who helped make this a success and to Tyson Foods for their generosity. Here's the truck parked outside The Greater Boston Food Bank during the delivery, an inside view of the truck and the first pallet of chicken off the truck (with food bank logo). There were several different kinds of chicken delivered. We're not great photographers here at The Food Bank, but I hope the idea gets across that this is a lot of chicken and it's very much appreciated. This is the second truck load (the first arrived last week). That's a lot of chicken, but the work of addressing hunger never ends. In January, the Greater Boston Food Bank will be holding a series of events to raise money and food to end hunger in Boston all month long, it's super hunger month. This past week has been about the lightest blogging week ever. I've had time offline, with family, and just relaxing. It's also that time of year when you think about setting personal goals or making resolutions for change. I've been thinking a lot of those, mostly internal - personal improvement and professional goals for my work, blog, and professional learning. But, given how the economy has changed and that we are about to usher in a new era of change, it is also a great idea to set some more external goals ... how might you make a change in your community, neighborhood, or the world. Need some motivation? 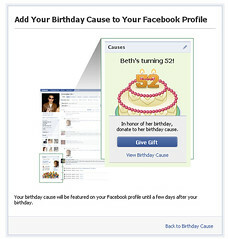 The Case Foundation has just launched the "Change Begins With Me" contest. They are calling on citizens to make a commitment over the next year for positive change. The winner will get to attend the Inaugural Ceremony and Hawaii Inaugural Ball! Want some guidance? Read this blog post from Jean Case about how she's thinking about it. I'm hoping citizens everywhere take moment and truly reflect on the 250 characters. It won't help if people "over-think" this or make too much of this, but we are asking for real commitments. For some, the commitment may be small or simple but may be the FIRST experience of "jumping in" to make a difference. For activists, the 250 characters may flow easily. And then there will be everyone else. A little sweating. A little eye-rolling. Hopefully, a little smile. But hopefully the bottom line is that we'll all be better off when the 250 characters are completed and we celebrate the close of next year with commitments that have been fulfilled as one small step toward a stronger, healthier nation. I will continue to evangelize this idea and how it in action "Be A Geek Who Gives" - their time, skills, money, or other resources to a charity, cause, or nonprofit. Many small contributions in this way can make a difference. We made this last year and it has continued to be one of my favorite videos of the kids and appropriate for the Holiday Season! A special holiday greeting to the readers of this blog and many thanks for all your insightful comments, support, and just being there! Expect some light blogging in the next few days. 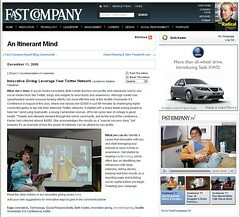 Profiled on Fast Company Blog! I usually don't like to toot my own horn, but I was profiled on Fast Company blog! Here's the post. It's part of a series on Innovative Giving. Here's the other profiles. 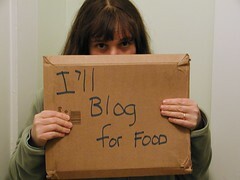 I took that photo of myself with a sign to illustrate a post that talked about the professionalization of blogging. It was the first mainstream article that I saw that described people being paid to blog. Tyson's strategy has inspired bloggers and other companies to use this technique to give to charity. Here's a few examples. Mizfit is donating a dime per comment to a local women's shelter. Several of her regular readers including Deb Roby have pledged to match her donations to The Bay Area food bank. Go over there and comment right now! First Book has teamed up with Disney to celebrate the release of "Bedtime Stories," a holiday movie. From now until the film's December 25 release, Disney will donate one new book to First Book (up to 250,000 books) for every comment posted. Yesterday, I caught a story on NPR about charity giving trends and social media use. They mention DonorsChoose, SharingTV, the Salvation Army's use of mobile phones for its "text a kettle campaign." Online is quickly becoming the most personal thing we do. There's a great moment in this NPR story when Melissa Block asks if it's less personal to give online. And, Omar Gallaga says he finds just the opposite is true - instead, he feels more connected giving online. Gallaga cites a specific example of giving money to DonorsChoose.org, a company that connects students and teachers to people who would like to donate. Gallaga said he got an e-mail from a teacher thanking him and telling him that the money was being used to buy AV equipment at a low-income school in Wisconsin. He was able to see the real people helped. Interesting twist on "impact." No more is it the volumes of people helped, but the real lives changed. It's connecting givers to receivers in incredibly personal ways. This reminds of something that Peter Deitz wrote about over at the Social Actions blog called "How Wil Your Nonprofit Raise Money in 2012?" Donors of all ages will be looking for meaningful points of engagement with your organization. They'll want to set the programmatic agenda, select the beneficiaries and target areas, communicate the organization's message, and, in real-time, evaluate feedback as it comes in. Notice something strange about those tasks? None of them involve passive check-writing on behalf of your organization. In 2012, individuals will come to your organization with the expectation of being full partners in your work, not just dollar wells to be tapped when cash is needed. Donations will be a consequence of meaningful engagement, not a measurement of it. Here's the posts from the Innovative Giving Series over at the Fast Company. 2009 will most certainly be year of fundraising innovation and changes. 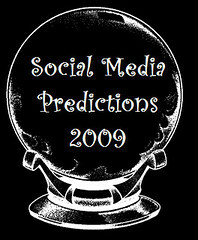 Keep an eye out to see what predictions come true. I spend a lot of time listening on the social web using a radar that I've put together with a combination of free tools and the Stradivarius Violin of listening tools, Radian 6. One topic that I regularly track are research reports, including demographic, technographics, and overall numbers for social media sites. I have a clipping file in a flickr set called Social Media Research Snippets. I like to track the data, but also think about what it means for nonprofits. 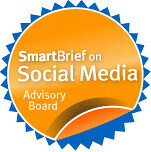 HubSpot has just shared the State of the Twittersphere report for Q4 2008. 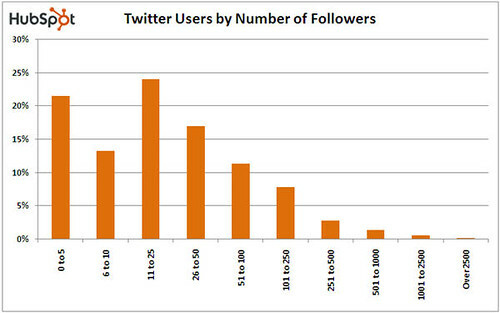 It is based on real data pulled from a huge number of Twitter profiles of people who have used Twitter Grader. Twitter grader is a measure of authority and reach of a Twitter user. My grade is 100 which means that my account scores higher than 100.0 percent of the 714018 users that have been graded. It is sort of like Technorati for Twitter. David Meerman Scott offers some thoughts about the implications of these numbers. His main point is that Twitter is not an advertising tool or spam tool. That nonprofits and companies should not set up a Twitter account to "prattle on about their products and services." He is predicting a demise of inanimate objects as Twitter accounts or those who don't represent real people, just marketing vehicles for brands. I happen to catch the question above from the Idealist. I found it because I have an RSS feed for a twitter search on the nptech tag. I also track an ego feed on Twitter through Radian 6 and caught wind of this tweet about best practices and twitter. And then I remember answering a similar question during the Convio Webinar last week. So, here's some quick points about how nonprofits should consider using Twitter if they want to be effective. Don't even think of Twitter as a billboard to post your message. It doesn't work. If you want learn the fine art of having a conversation on Twitter, follow and observe the masters. Chris Brogan for starters. Learn how to engage your followers. Provide quick human answers to your followers, ask questions, direct people to great resources (not your own 1:20 ratio - point to one of your resources for every twenty resources), stay in touch without being intrusive, no when to direct message, be funny, etc. Tara Hunt has a fabulous list of what to Tweet if you're just getting started. And Be sure to avoid these mistakes. Don't jump in without listening to others in your space using Twitter. Set up a Twitter listening post for your nonprofit as a first step. Here's how. Jumping in to talk or spread your message is a mistake. It's like starting a blog without first following and commenting on others blog. On Twitter, your organization should have a personality. 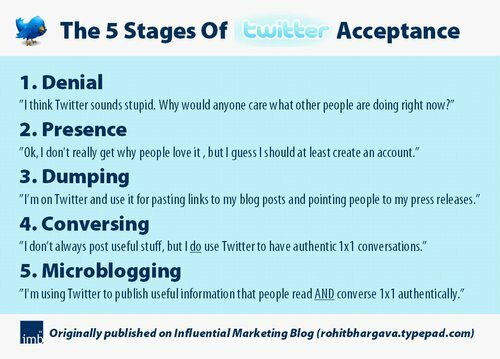 That's how some companies have been successful on Twitter- like Frank at Comcast or Lionel at Dell. I like the way NTEN does it. Holly Ross's Twitter account is ntenhross - so it is branded as both her and her organization. There is also a generic organization one - but a lot of NTEN conversations happen through Holly and other staff. Make your profile human, warm, and inviting. Not cold and institutional. Here's some terrific tips about how your profile can attract more followers. Here's a neat tool to help you design your profile. The worst thing you can do is not upload a photo or fill out the your profile. 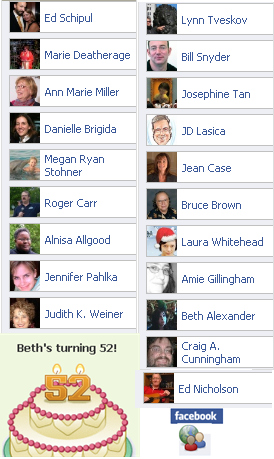 Identify who you are and inc lude a link. 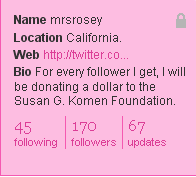 I link my profile to a Twitter Landing page. I got the idea for a Twitter Landing from Laura Fitton (@pistachio) a virtuoso Twitter user who I observed to learn best practices. The worst thing you can do is ignore people who ask you questions or share comments. Respond. If you use a tool like Tweetdeck, it will be easy for you reply to your @messages even if they don't mention you in the beginning. This is part of my morning routine, to respond to replies. Here's a guide to replies. The image above is from a post by Rohit Bhargava that sums up the advice rather nicely. 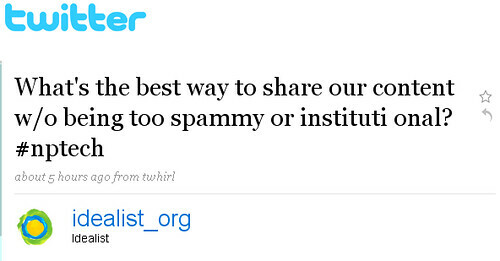 What other nonprofit Twitter best practices would you add to the list? Steve Rubel has a post pointing to an "Information Overload Calculator" from the research firm Basex that is estimating that information overload costs the U.S. economy $900 billion per year in "lowered employee productivity and reduced innovation." The reason? People are spending up to half their day managing and searching for information. Rubel has been predicting and writing about the "Attention Crash." Given the competing demands for our attention is so intense and amplified by the information overload, that consumers are moving towards a massive cut back in what they pay attention to. You can play with calculator and then download a free white paper, Information Overload: We Have Met the Enemy and He is Us which was written in 2007. The paper provides a brief contextual history of the term information overload, describes the problems, includes some case studies in large corporations and report the proceedings from the "Informania Symposium." (This was reported on an article in the New York Times last June and the implications summarized here and here) The paper raises the question, "Is information overload too many e-mails, too many interruptions, too many tasks or much stress?" The paper also talks about the blurry lines between work and personal life. The paper offers a couple of practical strategies for avoiding information overload, including a list of "Which is Better When?" that provides a list of circumstances of when to use the telephone versus email versus IM. The paper does not discuss the role of information overload in the context of social media use. Given recent predictions of "Too Much Information" and "Social Media Indigestion," I suspect we'll see a lot more focus on effective use of social media and ROI. Is information overload costing your nonprofit precious staff time? What are your tips and solutions for managing information overload? What specific strategies are you using to effectively manage your organization's social media use? 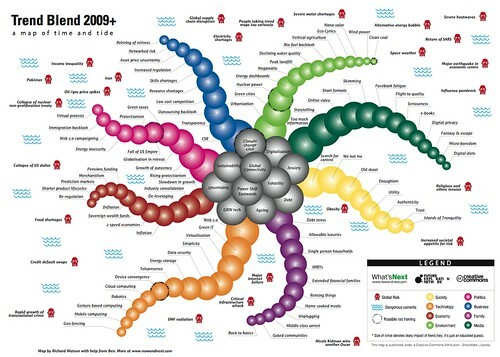 This is a cool visualizations of trends for 2009 in different sectors. It's from Trends in Living Networks blogger Ross Dawson. You may remember the very popular Trend Blend 2007 and Trend Blend 2008 which used transportation themes. 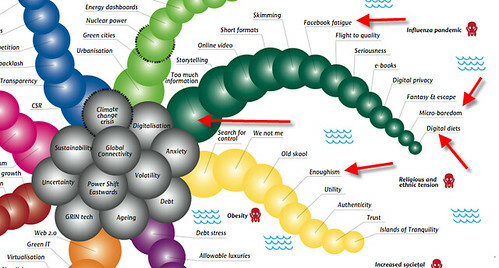 Created by Future Exploration Network’s Chief Futurist Richard Watson, also of NowandNext.com, the 2009 trend map uses a "multi-tentacled hydra." It reminds me of the Conversation Prism from Brian Solis which was inspired by Darren Barefoot's "social media starfish" that he created for his book "Getting to First Base" which was a remix of Scoble's white board. There's a difference, it's a little broader than social media. I marked in red the trends that caught my eye, more about that later. What to do in the nonprofit sector to offset the economic crisis? 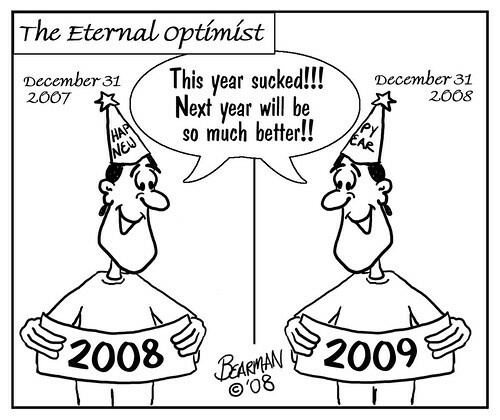 What resonates with you from this diagram of next year? Global Voices is the leading participatory media room for voices from developing countries around the globe. They've just launched their online fundraising campaign to keep the world talking. I'm a donor and let me tell you why. I've had the honor of being involved with the Global Voices community on and off for a couple of years. I remember first coming across it back in 2005 when it was just a simple blog hosted at the Berkman Center for Internet and Society at Harvard University. I was thrilled to discover it because I had just started my "Cambodia For Kids" blog and thought it might help me connect with bloggers from Cambodia. It did. 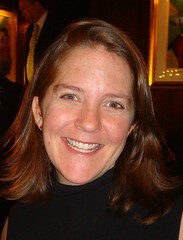 In 2005, I also discovered the Berkman Center Thursday evening bloggers meetings and started attending. (I did a session on nonprofits and blogging with Marnie Webb) It was at one of these meetings that I met Ethan Zuckerman and Rebecca MacKinnon. I offered to do some volunteer outreach work for global voices to connect with Cambodia bloggers and served as a volunteer editor for the Cambodia section for a short time before Tharum (in the photo below) took over the job. Since those early years, Global Voices has grown into a vibrant global community of more than 150 active volunteer authors and translators and more than 20 freelance part- time regional and language editors. That's a photo of me and Tharum, who started blogging in 2004. He was the first person to leave a comment on my Cambodia4Kids Blog. 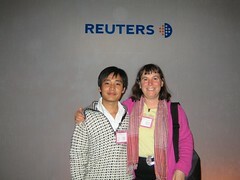 In December 2005, I got to meet Tharum in London at the Global Voices Summit, its annual face-to-face gathering of the Global Voices Community. I've been a long time advocate and supporter of the work that is being done over at Global Voices and have seen the impact first hand in Cambodia where there is a vibrant local community of bloggers. That's why when Ethan Zuckerman invited to serve on the board of Friends of Global Voices, the us nonprofit that will serve as a fundraising entity for Global Voices, I said yes. I'm honored to be serving with David Weinberger, Isaac Mao, and Xeni Jardin. So, that's why I'm hoping you'll join me and support Global Voices. 1. What can $2 do? 2. How can I thank and honor clients and friends of Pistachio Consulting this year? 3. What do I want most of all for Christmas? If you follow the link to Laura's blog post and want to use tipjoy, you can type in your Twitter name and password and it automatically posts the tweet and your pledge. The minimum transaction amount is $5 to minimize the overhead, so when you pay you have to pay in advance for $3 worth of tips. You have an option to pay your pledge right there using your paypal account. Once I paid my $2 pledge, I saw the progress report on the campaign - there was over $500 raised so far from 88 people. I figured, I go back and donate the remaining $3 .... it's a good cause I know respect and applaud Laura for doing this - and figured would help the match go a little bit further. Let the micro fundraising begin! There's an easter egg on Flickr. 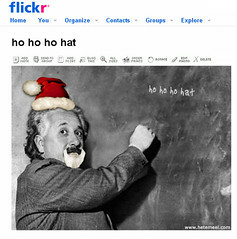 Type ho ho ho hat into a note on your photo and it will add a Santa Hat. Type ho ho ho beard and it will add a Santa Beard. George Oates was laid off. OMG. QIK Celebrates One Year Anniversary With Charity Drive to support Cambodian Orphans! I've been so grateful to all the wonderful people who have generously contributed to the Sharing Foundation. Leng Sopharath, a young Cambodia woman, has been sent to college for three years due to the generosity of people who read this blog, follow me (or Chris Brogan) on Twitter, or have connected with me through different social networks. And, if wasn't for the outpouring of generosity of the Gnomedex community and Chris and Ponzi - we were able to cover her medical expenses this year. Being Leng Sopharath's sponsor is more than raising money to support the Sharing Foundation's program. I write regular letters of support and encouragement. And this year has been very difficult for her due to her medical problems. I just received the last letter from her and thought I'd share with you. "Thank you so much for your last letter. I love to read it. I am okay now. I am still resting because I just getting back my strength back after my 3rd operation. I feel sad sometimes because my roommates get to ride their bikes to school. I can only see and smile on them. I really want to go back to school so much and I think my dream will come true in April when I am well enough to attend school. Even though I cannot attend school, I am studying my lessons and reviewing books. I hope one day that I will see you again in Cambodia and thank you for being my sponsor. I will work hard and not make you feel sad that you were my sponsor." As I mentioned, we're feeling the impact of the economy and donations are slowing down. While Leng Sopharath is covered, there are 40 other college students that the Sharing Foundation supports. That's why a donation, of any amount, even $15 will help us help lift these promising young people out of poverty. And, again, my heartfelt thanks to QIK! The divisions between personal time and work time and between physical and virtual reality will be further erased for everyone who’s connected, and the results will be mixed in terms of social relations. The division between personal and professional time will disappear: A majority of expert respondents (56%) agreed with the statement that in 2020 “few lines (will) divide professional from personal time, and that’s OK.” While some people are hopeful about a hyperconnected future with more freedom, flexibility, and life enhancements, others express fears that mobility and ubiquity of networked computing devices will be harmful for most people by adding to stress and challenging family life and social life. I think the line has been pretty blurry for awhile and the jury is still out as to whether it will be part of our lifestyle or something that is bad for our health. Geoff Livingston at LivingstonBuzz who has a detailed analysis and commentary about the findings and the "Do Good" sector. This was the most disappointing benchmark revealed by the report. Yet recent events throughout the online world, from the mob mentality on Twitter to Arrington’s continued, ridiculously obnoxious self righteousness lead me to believe that significant progress in human nature needs to occur to achieve good online through transparency. It’s the human plight, I suppose. Online media, while providing great opportunities to make a difference, is also exposing our ugly sides, from the need to place self first in some of the most ridiculous ways to pack mentalities to boorish treatment of others. The map image above is an interactive map that displays the distribution of the most recent support by U.S. foundations to aid those affected by the downturn. Drill down to see the details. It's part of the Foundation Center's aggregated page of articles, podcasts, data, and resources that Focus on the Financial Crisis. You can updates through RSS. Excellent example of aggregation strategy and really clear and good information design. I've been noticing a new hash tag #npecon floating around on Twitter and just added to my tag list. I'll be drilling down into this area to think more deeply about how social media fits in - and also from the vantage point of an individual. What's the opportunity cost when a nonprofit blocks employees from using social network sites during work hours? According to Wendy Harman, employees at the Red Cross were blocked from accessing social networking sites, like Facebook, from work. Recently, a change in policy has allowed access. So, was there lots of lost productivity equaling millions of dollars? Recently, thousands of Facebook members helped leveraged a $50,000 donation from the Western Union Foundation by voting for the American Red Cross and its disaster relief efforts. The $50,000 donation will contribute to a broader American Red Cross goal to raise $100 million for disaster relief. As soon as I heard about it, I tracked down Wendy Harman who is responsible for social media strategies at the American Red Cross to learn more about how she did it. 1. Tell us about your job? Is it 100% social media or does it include other online/Internet marketing? Officially, it's 100% social media. I truly believe that being present in an open, giving, and transparent way in spaces where your supporters are already spending their time will lead to a stronger loyalty to your mission. But, in this economic climate the Red Cross is certainly making more aggressive online marketing moves. 2. Can you tell me the basics about the Red Cross $100 million fundraising campaign for disaster relief? 2008 has been a record year for disasters and therefore a record year for disaster response. The Red Cross Disaster Relief Fund is what gives us the ability to be ready to respond to the 70,000 disasters that happen every year. In order to keep the fund healthy, we set a goal of raising $100 million back in September. All 700+ chapters are participating in the campaign. I think we're employing every fundraising method in the book! For our email messages, we're getting help from Blue State Digital (Obama's online strategists). We're pushing the Text2Help program that allows anyone to donate $5 by texting "Give" to 24357. As for social media, we've tried to supply our online supporters with all the tools they might need to make it as easy as possible for them to help us get the word out that people affected by disasters need their help. We created a wiki full of sample avatars, banners, widgets, videos, audio clips, etc. – that are easy to grab and use. We've used our online channels to keep the public updated on the campaign. The campaign's home page has all the links you'd need to help out. On Saturday we celebrated a National Day of Giving (which I like to call N-Dog) – all over the country Red Crossers were out and about raising funds for the campaign. To date, we've raised $70 million. 3. 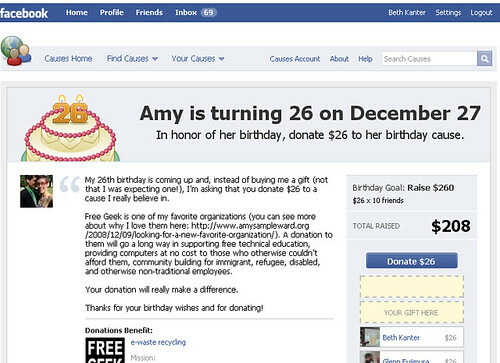 How did you get the $50,000 from Western Union Foundation via Facebook? What was your strategy? This was such a great victory for us. Until recently, all employees had been blocked from viewing social networking sites due to security concerns, so we were never even able to tell our own organization what we were doing out in this wild social web. Since the great wall fell, we've been able to promote initiatives like the Western Union Foundation contest to all of our chapters and blood regions. When 700+ entities across the country are all asking their supporters to vote, we have a much stronger turnout. This contest marked the first time we were able to put a notice about taking a social media action in our internal communications channels and I believe that was the key to our success. 4. Given the horrible economic circumstances, why concentrate any time on social media at all if other proven methods - like email - have higher ROI? We have the luxury of being able to do both. As I said earlier, we're now using the Blue State Digital strategists to revolutionize our email outreach and we're able to complement those messages across social media platforms. Plus, even (or maybe even especially) in horrible economic circumstances it's important to listen and learn from the people whose support you're trying to inspire. 5. What have you learned about social media strategy for fundraising that could be broadly applicable to other nonprofits? I think you and Kami Huyse and John Cass gave me the best advice back in September. Offer the people who are talking about you easy tools to help support your mission. Hand the power to passionate supporters and they are able to leverage their own networks with their own personal stories. To further assist the Red Cross in reaching its ambitious goal, Western Union is offering consumers the opportunity to donate to the American Red Cross at any Western Union location. All money transfer transaction fees will certainly be waived for donations to the American Red Cross to ensure that every dollar goes directly to the Red Cross Disaster Relief Fund. Think about it, what's the opportunity cost of blocking access to social networking sites? What's the opportunity cost of not engaging at all? No, I'm not saying that you should drop everything and spend all your time and resources using social networking and social media strategies. But, realize that it shouldn't be a yes or no question. You should begin to engage with small strategic experiments so you're not playing catch up down the road. On December 17th, the Youtube community will participate in a video making party that celebrates charities. YouTube users are invited to make a video about their favorite charity and why they support it. Here's the how to and you can find the templates here. Here's more about this community effort.